Department of Defence Head of Communications, Siphiwe Dlamini, has responded – in more than 700 words – to “clarify” the call-up of honorary colonel Brian Molefe. “Inaccuracies”, “ill-informed” and “undermining the integrity of the SANDF” are among words and phrases that feature. The statement, in full, reads: “The article published in the City Press newspaper of Sunday, 20 November 2017, authored about Mr Brian Molefe has lots of inaccuracies which seeks to create the impression that he is desperate for a salary and that the South African National Defence Force (SANDF), in particular the South African Army, is doing him a favour by calling him up. Furthermore, the headline of the article is grossly misleading, ill-informed and undermines the integrity of the SANDF by giving an imprudent impression that Mr Molefe suddenly ‘joined’ the Defence Force. In the interest of accuracy, defenceWeb interrupts the statement to point out the article first appeared in the Afrikaans weekly Rapport and was then translated and published in its sister newspaper, City Press. “It must be pointed out once again that Mr Molefe is a Reserve Force member and is also an Honorary Colonel of one of the Reserve Force Regiments. His appointment in the Reserve Force Component of the SANDF dates as far back from the time when he was the Public Investment Corporation Chief Executive Officer (CEO). He has, like all members of the Reserve Force, successfully attended the obligatory training preceding an official Reserve Force appointment. “The South African National Defence Force created a special dispensation in 1994 aimed at transforming the Reserve Force leader group whereby selected senior ex-Non Statutory Force members were incorporated into the SANDF. Their allocated rank was based on seniority and former military experience while in exile. “On 27 November 2009, the appointment of a number of Reserve officers based on a variety of policies was approved. It was during this process, after a number of interviews and staff boards were conducted, that Brian Molefe was identified for the Pool of Specialists and earmarked to serve as an Officer in control of the Audit Section of the Pool of Specialists with the rank of Colonel. 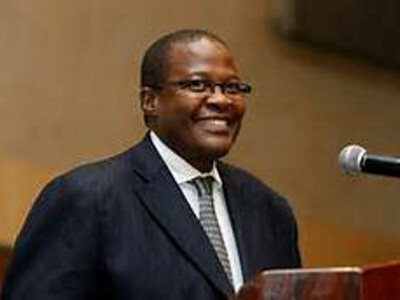 At that stage Mr Molefe was the CEO of the Public Investment Corporation and was utilised on a non-continuous basis as and when required. A number of Chartered Accountants were simultaneously recruited for the Pool and appointed under him to assist the Inspector General of the SA Army with various tasks and training in this regard. In this capacity Col Molefe played a very constructive role in the SA Army. Col Molefe is regarded as a Reserve Force member and is remunerated accordingly. “As previously stated, like many Reserve Force members who are called up to assist the Defence Force in many areas of expertise, Mr Molefe has been called up on several occasions to provide the Defence Force with the required skill since he has been a Reserve Force member. Mr Molefe is part of the Specialist group of people who time and again would be called up for specific duties over a specific short term period as per the requirement of the Defence Force. “Reserve members are called up on a continuous or non-continuous basis according to the requirements of the SANDF. For example, Reserve members called up for Border Safeguarding are called up for a pre-deployment training period (37 days) and a six month (180 days) deployment on the borders. At Army HQ, officers and other ranks are also called up for extended periods of time when there is a requirement for expertise that is not otherwise available. “On 14 May, 2011 the Minister of Defence appointed Colonel Brian Molefe as the Honorary Colonel of the South African Irish Regiment. This appointment did not nullify his appointment as a Reserve colonel but functions in tandem. A different set of rules governs the utilisation of Honorary Colonels as indicated in the Regulations for the Reserve Force. In the case of his duties as an Honorary Colonel Molefe may not, and does not, receive remuneration. In an effort to obtain more information about the “pool of specialists” defenceWeb asked Dlamini if he would forward the names of three of its members and their qualifications. He declined saying: “Unfortunately I cannot do that because they are not the subject of the matter we are dealing with. It would be a violation of these individuals’ rights as far as I am concerned. In the ranks of honorary colonels in the SANDF, Molefe has as colleagues, among others, Basil Hersov, Irvin Khoza, Yvonne Chaka-Chaka and former South African Minister of Foreign Affairs, Roelof “Pik” Botha.